Molly Lamplough became the newest Junior Soldier at Birmingham Citadel today. 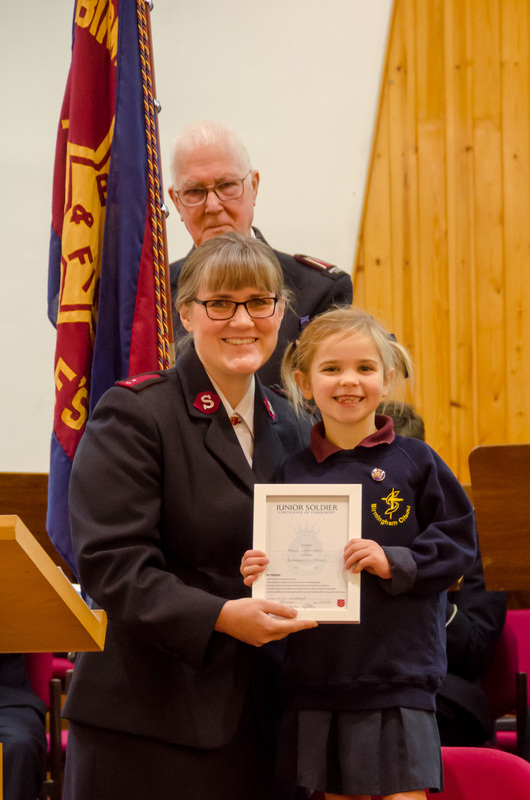 A Junior Soldier is the term The Salvation Army uses for younger members of our Church membership who have made a decision to accept Jesus as their friend and Saviour. Molly was very keen to be enrolled and some of her family and family friends came to support her. After the enrolment Molly said a prayer and also gave her testimony where she told us that she had told her school friends and school teacher that she was going to become a Junior Soldier today. We wish Molly many blessings as she continues on her Christian journey. Molly is pictured here with Corps Officer Captain Clare Allman.